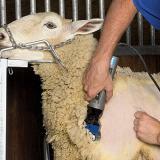 This poster includes easy to follow diagrams and instructions for shearing sheep. 14" x 20". Laminated. I used this blade for the first time this year along with the spitfire cutter.I was very impressed with it for the first 10 sheep I sheared. It cut great and was able to go really fast. After this it got progressively dull and hard to get it through the wool. (I am shearing suffolk/hampshire crosses). I am going to send them in and get them sharpened and see if they are any better. 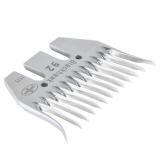 This comb far out-lasts a number of other brands of combs that I have used. 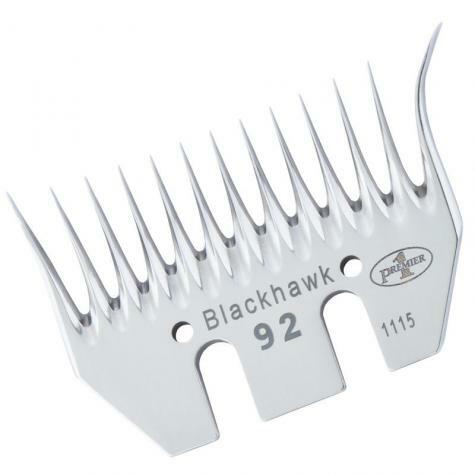 This past spring we used a set of this comb and a spitfire cutter on 50-60 head before it needed to be changed out. And I'm not a very fast shearer yet. About 8-10 min/head. That's roughly seven hours of run time! 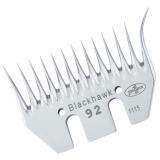 Currently using an 13 tooth Arizona thin on one set of clippers and the Blackhawk 92 Shearing Comb on another. Day & night difference! The Arizona cakes and gums up while the Blackhawk goes right into the wool and gets to work. Great comb.